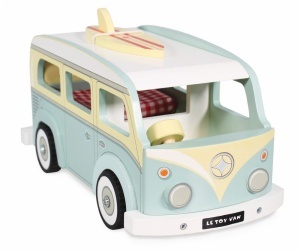 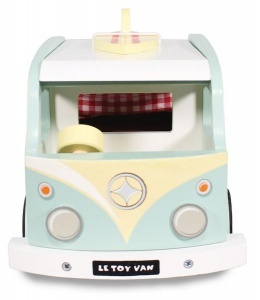 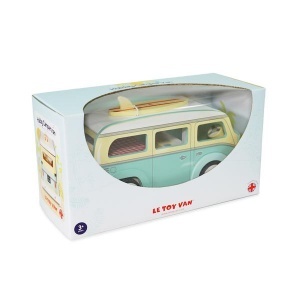 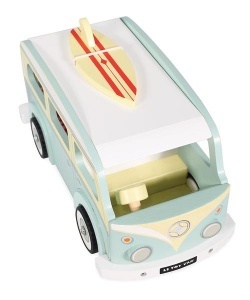 Our favourite new wooden toy for 2018 this vintage camper van from Le Toy Van is designed in the UK and is painted in beautiful colours of pale blue and lemon. 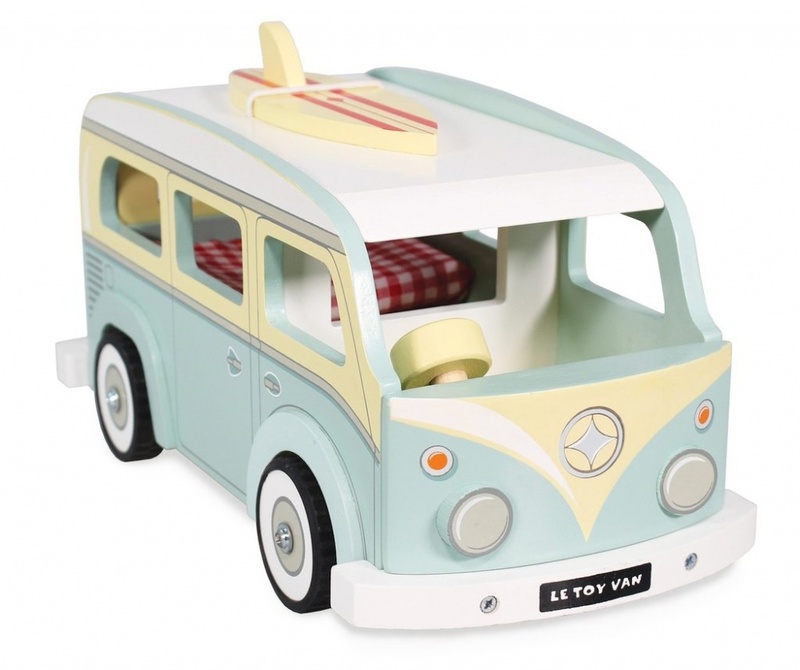 The camper van has a detachable classic surf board and when the roof is lifted off features a padded mattress in a lovely chequered red and white as well as a kitchenette area. 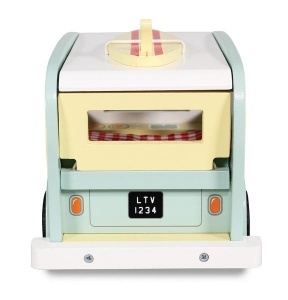 A classic toy which will be treasured and will look fabulous as a decorative object.